is one of today’s most highly sought after seminar leaders. Janet is NJ State Certified in Domestic Violence Counseling. As a leading authority in the field of anger management and conflict resolution, Janet serves as a consultant to such companies as the U.S. Army, U.S. Postal Service, AT&T, Hoffman-LaRoche, Rutgers University, Carnival Cruise Lines, United Way, YWCA, New Jersey Education Association, Care-One, Insurance Restoration Specialists, Learning Annex, William Paterson University Women’s Center, Catholic Community Services, Passaic County Community College, American Business Academy, Bergen County Police and Fire Academy, Cook’s College, Kean University, Rotary, Ocean County College, Kiwanis and more. Janet received her N.J. State Certification in Domestic Violence Affairs and is a consultant and instructor at a battered women’s shelter. 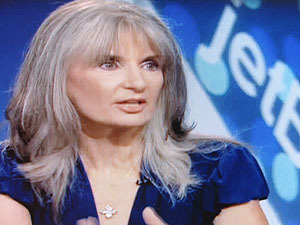 Janet has spoken at the United Nations, Notre Dame University (for the NACSDC National Conference), has served as committee member and keynote speaker for the YWCA National Week Without Violence Campaign, and is a member of the National Police Suicide Foundation and past board member for the World Addiction Foundation. She is a former columnist for the Daily Record and hosted her own cable TV and radio shows. Janet has also been a contributing writer to Woman’s World Magazine, Living Solo Magazine, Prime Woman Magazine and N.J. Family. She has recently appeared in Fusion, Alaska Business Monthly and more than 50 other publications. As an inspirational speaker and private consultant, Janet is a frequent guest on radio and TV and has appeared on CNN, The 700 Club, Lifetime, NBC News, Fox, CBS News, The Harvest Show, TruTV, Celebration and more than 80 top radio stations. She appears as a regular guest on WGUN Radio (Relationship Thursdays with DJ Kay and Janet Pfeiffer). Janet also runs “The Antidote to Anger Group” for court ordered offenders and those with issues of anger. Additionally, she is a member of EAPA, NJAWBO, ISBOG and Visions in Motion Speaker’s Bureau. Janet's books include: The Secret Side of Anger (endorsed by NY Times best selling author, Dr. Bernie Siegel), 101 Great Ways to Improve Your Life, Vol.3 (co -authored with Mark Victor Hanson of Chicken Soup For the Soul), The Seedling’s Journey, The Angel and The Gift, The Orchids of Gateway Lane , Jordan's Promise and Dying To Be Safe: Ultimate Solutions to Violence. She has been nominated for many prestigious awards including the Russ Berrie "Make a Difference Award", 2010 NJ Governor’s Jefferson Award, and has been presented with SOS "Positive Life Force" and "AOH" awards. She has achieved recognition as an award winning author, photographer, and race walker. (1994/1995 NJ Gold Medalist; 1994/1995 National Gold, Silver and Bronze Medalist in marathon competition), and is also listed in the "Who's Who in Authors". In 2001, she founded "Reunion of Hearts", Reconciling and Reconnecting Estranged Families", the nation's first non-profit support group of its kind dedicated to the emotional healing and reuniting of estranged family members. Janet is a graduate of Englewood Cliffs College (now part of St. Peter’s). In her spare time, Janet rescues abandoned and abused dogs (she currently has 3 beautiful mutts), hikes, and spends time with her family. through donations and fund-raising events. If you would like to know more about how we can raise funds for your non profit, please contact us today. "Pontifical Institute for Foreign Missions, is a Society of Apostolic Life of priests and laymen who dedicate their lives to the mission among non-Christians on the five continents. Founded in Italy in 1850, the Institute opened its US Regional Headquarters in Detroit in 1947. " St. Judes Children's Research Hospital Finding Cures. Saving Children. "St. Jude is unlike any other pediatric treatment and research facility. Discoveries made here have completely changed how the world treats children with cancer and other catastrophic diseases. With research and patient care under one roof, St. Jude is where some of today's most gifted researchers are able to do science more quickly." "RBARI is Bergen County's only non-profit, "no-kill" shelter. Located in Northern New Jersey. 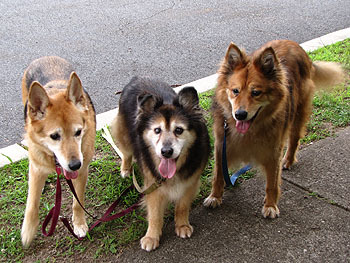 RBARI is dedicated to the welfare of companion animals in our community. We protect the abandoned, abused, and unwanted animals in our care by finding them kind and loving homes. We give our cats and dogs food, shelter, medical treatment, and, of course, love."